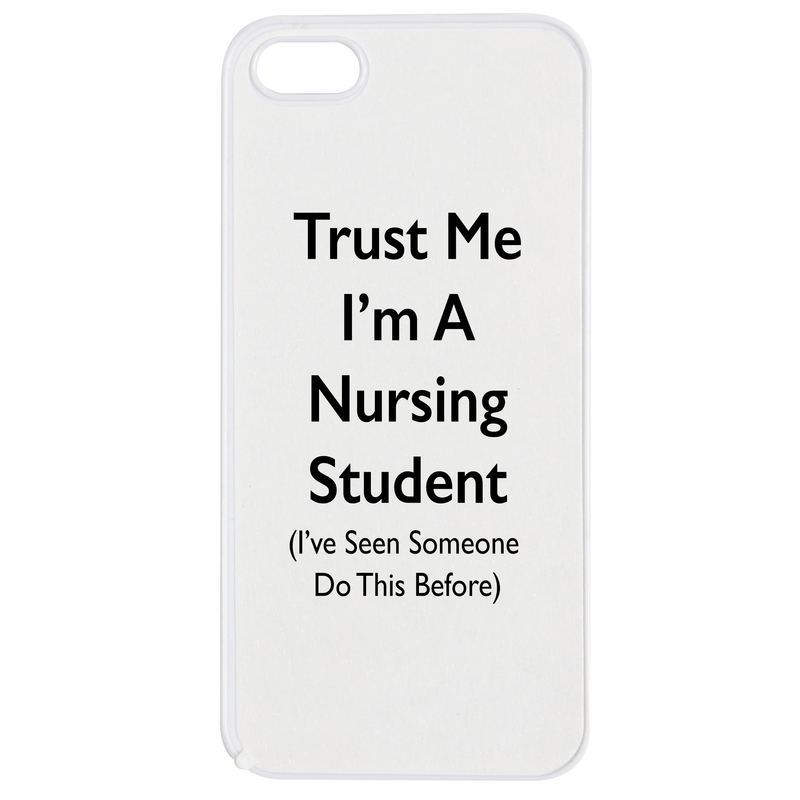 This plastic clip-on case is compatible with a range of phones including iphone 5, 5S, 5C, 6, 6 Plus, HTC One, HTC One X, Samsung Galaxy S5 and S6. 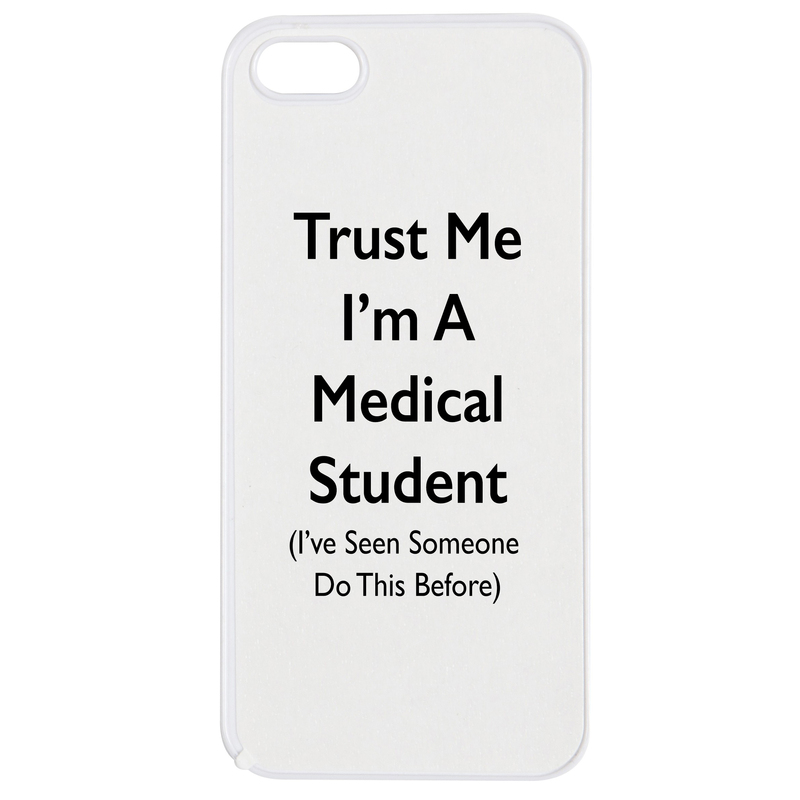 Accessory only, iPhone®, is a registered trademarks of Apple, Inc. Products are Apple compatible and not endorsed by Apple, Inc.
Trust Me I’m A Medical Student – Phone Case. 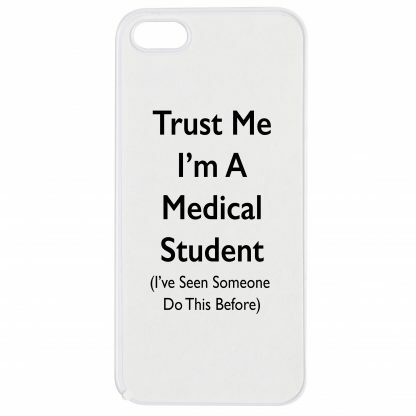 Medical students are some of the most hardworking students around. Why not show everyone subtly and offer a sense of calm with this Trust Me I’m a Medical Student phone case. 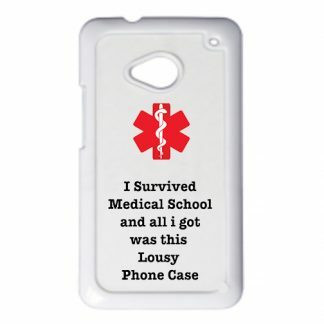 This well designed case offers your phone protection from the majority of phone related incidents. 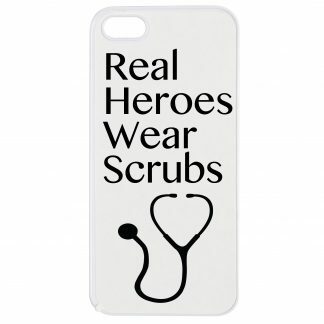 Please note that these case, whilst offering the best protection they can, these are not water proof, shock proof, of one of those super fancy indestructible cases. 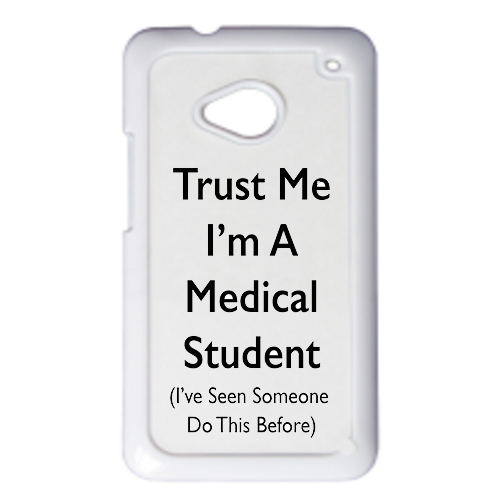 These are a basic plastic phone case, created to highlight your chosen career choice of being a Medical student. 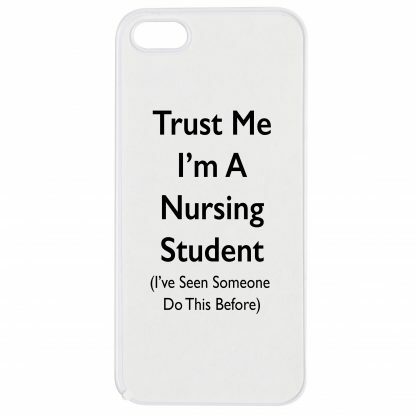 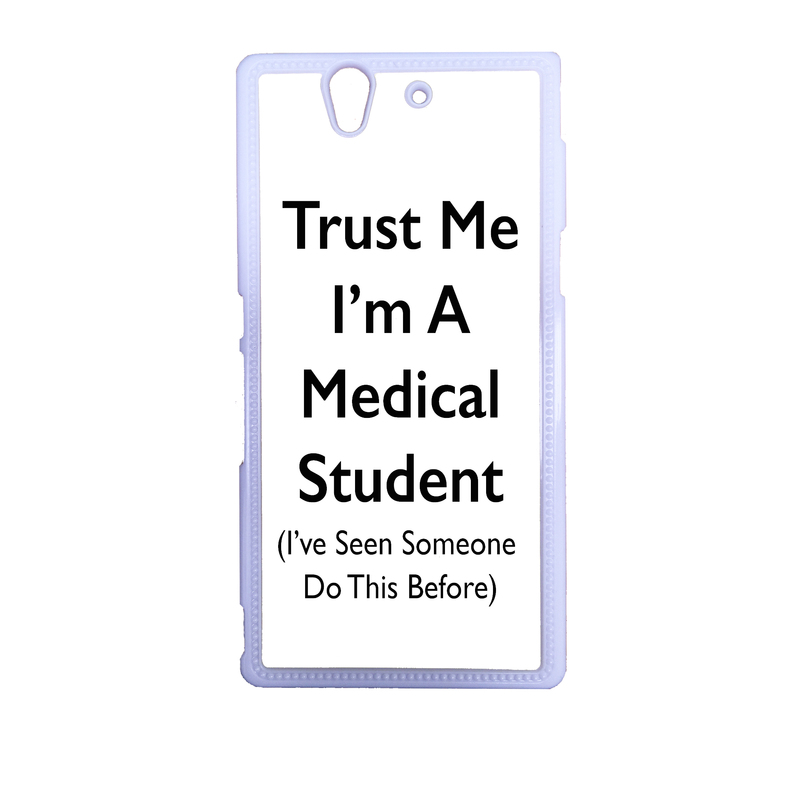 1 x Trust Me I’m a Medical Student Phone case for the phone of your choice. 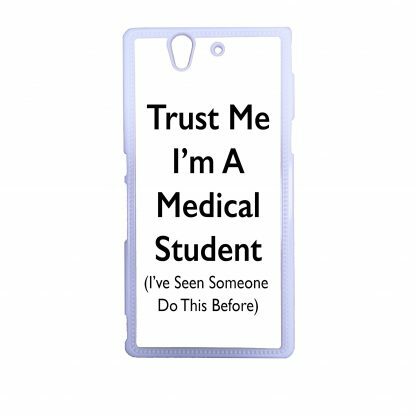 Each of our Trust Me I’m a Medical Student phone cases has been created by the in house design team here at Medinc, who pride themselves on creating innovative Medical themed gifts for those working or studying in the Medical profession. 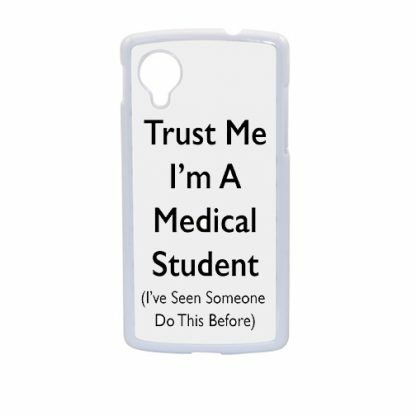 This is a fantastic gift for anyone in the Medical profession, making an ideal stocking filler for Christmas, or a small novelty gift for a loved one. 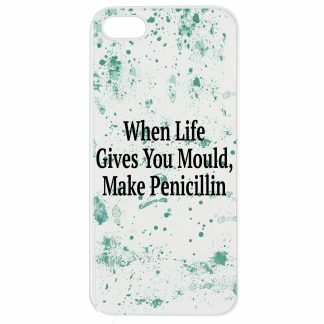 This phone case forms part of our Phone Cases range.